Has it really been last February since I actually sat down and tried to post a blog post. Though not really that surprising I guess given everything that has been going on this past year and how fast the year has just flown by. I was out to dinner last night with MeowGirl and she was reminding me about my lack of blogging. 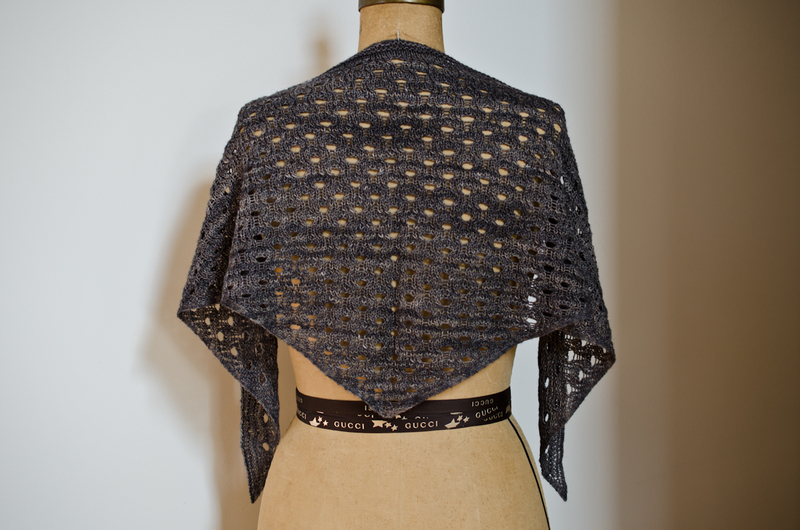 So here is at least a quick post about a lovely pattern by Olga Buraya-Kefelian, Mizutama Shawl. 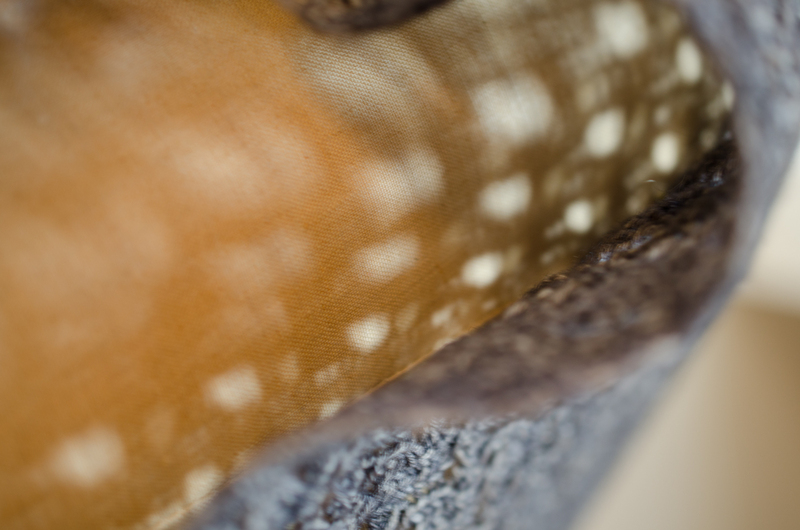 The shawl was started in the spring when the pattern was first released. 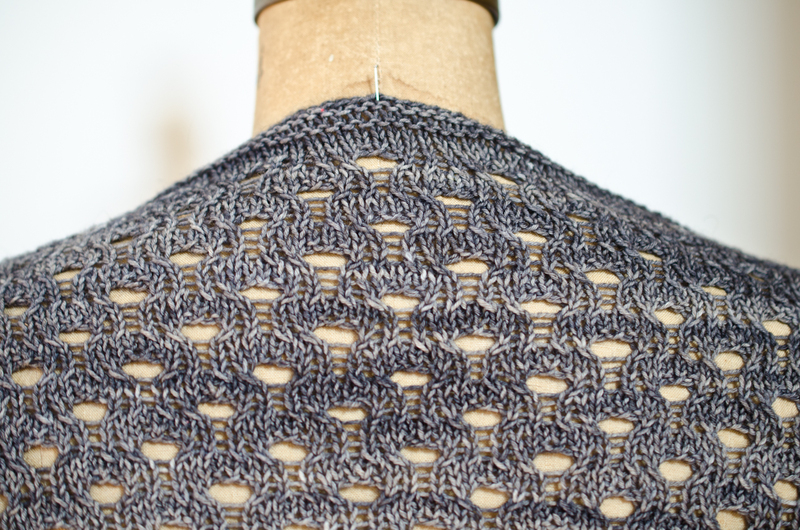 I loved seeing the dots slowly appear as the shawl grew. The pattern was super easy to follow and remember. The first 10 pattern repeats were even done the first night. Then I ran into one big problem with the shawl, I figured out I was allergic to the yarn. After knitting only 4 rows towards the end my hands would itch so badly I wanted to tear my skin off and my mouth and nose would begin to tingle. I really should have just sent the yarn to someone else to enjoy, but I just loved the pattern so much I was determined to finish. Guess I need to add Bison to my list of fibers that I am allergic to and should never ever try to knit with again. Oh my. How awful! It's such a pretty shawl. I hope whoever gets it as a gift will appreciate the workmanship!